Smarkets Betting Exchange Review Has Liquidity Improved? Are Smarkets worth using as an alternative to Betfair? Has the liquidity in the markets improved? When Betfair broke into the betting scene as the major betting exchange, it was apparent that the future of betting was going to change forever. It was also inevitable that there would be imitators, some of which have worked well, some of which haven’t. Some betting exchanges have remained fiercely independent whilst others have been bought out by the big bookmakers. For those who aren’t perhaps too aware of what a betting exchange entails, it is a massive marketplace where bettors from across the world can place bets with each other. Users can choose what odds they want to try and back a horse at whilst others are “laying” bets (essentially betting against a horse winning). This is the biggest difference between a betting exchange and a bookmaker, a betting exchange is always betting against other people. Because of the nature of betting exchanges, they have developed a number of advantages over traditional bookmakers. Arguably the most important is that you can lay bets now, suddenly allowing anybody to act as a bookmaker (something that bookies were very unhappy about when Betfair first launched), however this isn’t just it. Betting exchanges allow you to place a much wider variety of bets than a bookmaker and you can also bet on more types of things (these are what we refer to as “markets”. 3 Why is Smarkets different? 4 Is Smarkets Easy to use? 5 What betting Markets are available? 6 Is there enough Liquidity? For example, a bookie would never allow you to bet against a 0-0 draw happening in a football and yet this kind of thing is a well known strategy on betting exchanges. One of the other key differences between betting exchanges and bookies is in play betting. This is something that a lot of bookmakers have cottoned on to and offer now, but once upon a time, betting in play was generally the sole preserve of those who use betting exchanges. In play betting can also be “traded” allowing you to essentially sell a bet for a reduce, albeit guaranteed profit. Probably the most obvious difference however is how you pay for a betting exchange. Whilst bookmakers make money by you losing, a betting exchange will take a small commission on any winning bet. This favours users for a number of reasons however the most apparent is that there is no opportunity to have your betting accounts frozen or restricted, no matter how much you win. Since those heady young days where every bettor and his dog was out to make a killing on a betting exchange, the scene as definitely changed. I would arguably go as far as to say that there is more competition amongst betting markets now than there has ever been. Today though, there is only one betting exchange that I want to look at and that is Smarkets. A relatively small time player at the moment however there is strong potential here for Smarkets to become the betting exchange of choice in the future. In many respects, Smarkets is simply another betting exchange, however to put it this bluntly simply doesn’t do it justice. The company was founded back in 2008 by a team of software engineers and finance professionals, all backed by a consortium of private investors. The CEO of Jason Trost has guided the company since then to become arguably the third most well known betting exchange after Betfair and Betdaq. This is no small feat considering Betfair was the original and Betdaq has the backing of Ladbrokes, one of the largest bookmakers in the world. As a betting exchange, Smarkets has always aimed to be fast and efficient, allowing traders to move as quickly as possible. What is interesting about the platform is that it has been developed with future growth in mind meaning that as Smarkets expands, the exchange will be equipped to deal with the growth. As a company, Smarkets continue to grow year on year and their growth as a company will only help bettors to better take advantage of the Smarkets exchange in the future. What is refreshing about Smarkets is that Jason Trost takes a customer first approach, something that was reinforced in his letter for the 2015 financial results where he says talks about how advancements in the trading software have enhanced customer experience. 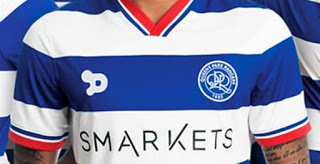 Jason also talks about highlighting the value that has been on offer with 0% commission on games for QPR (for whom Smarkets are an official kit sponsor). I suppose that it is fair to say that in some ways, Smarkets isn’t really any different than most betting exchanges however what differences there are, I feel, are crucial. The first things is something that I have already touched on and this is the view of the company that Jason Trost takes. Rather than seeing Smarkets as a traditional betting company, the approach has always been to view Smarkets as a tech start up. This has allowed the company to be named as a top 10 European Tech company by The Wall Street Journal within 2 years of launching. The other difference between Smarkets and most other betting exchanges is without a doubt the most important and this is the level of commission that is charged. Where almost all of the other betting exchanges take 5% of your winnings, Smarkets are by far and away the most competitive taking just 2% instead. This may not sound much, but taking 3% out of everything that you earn can add up over your betting career. Is Smarkets Easy to use? Compared to most betting exchanges, I am inclined to say that Smarkets is possibly easier to use than most. A big part of this is because of the user based focus that Jason Trost is so keen to talk about. The fact that Smarkets is somewhat easier to follow than other betting exchanges shouldn’t mean that it should be dismissed either. Much of what makes Smarkets simple isn’t a lack of information, rather the clarity with which it is displayed. For example, Smarkets clearly states how much has been traded on a certain event with each market carriying its own total. The odds that are shown are generally available and whilst there is liquidity to be had with Smarkets, there isn’t so much that the markets jump around too wildly, a far cry from Betfair (and something that I will look at in greater detail below). Should you find that you are having any difficult using Smarkets there is a comprehensive help centre available as well as the ability to contact the team as well. As much as I am a huge fan of Smarkets, there are a few points that are often used against it and one of these is the number of betting markets that are available. Personally, I think that Smarkets does a fine job with the sports markets that it does use (each of which I will look at in detail) however those who are used to Betfair and the ability to bet on pretty much anything that you want, whenever you want will be disappointed. With that in mind, let’s take a look at the markets. By far and away the most gambled on sport in the UK is horse racing and this is reflected in the markets desire to trade. Smarkets lists all of the days horse racing for both the UK and Ireland. There are two possibilities that you can back in horse racing through Smarkets which are a win or a place bet. The placement is very clearly labelled so that you can see where your horse has to finish for the bet to count. Football is rapidly catching up with horse racing in terms of betting popularity and there are an increasing number of experts who expect it to exceed it in the next few years. Football is one area where Smarkets does well allowing users to bet on games ranging from the English Premier League to International Friendlies and even the United Arab Emirates Arabian Gulf League. The number of bets that are available for football betting through Smarkets is much more substantial than horse racing and covers obvious things like the winner, the correct score and a host of goal related markets (more than it would be reasonable to list here, however I can say that all of the major bets are covered). There are also things like betting on a team to keep a clean sheet and a “Draw No Bet” which means that if no team wins then you get your stake back. There is a lot of liquidity in football however generally applies to the more popular leagues. The American Football markets are currently rather small however given the fact that most of Smarkets clientele are based in the UK, this isn’t too much of a surprise. Coverage is only provided for the NFL with the only bet being the winner, however there is liquidity to be had here. Basketball betting is slightly more open than American Football which is in part due to the fact that Smarkets look at the Europe Euroleague, the NBA and Poland’s Ekstraliga. The differences do however pretty much end there with Basketball only offering win bets. There is rather limited liquidity here unless you are looking at the NBA (which most people will be). Interestingly enough, one of Smarkets busiest markets is Cricket. The selection of bets is once again somewhat limited however as well as covering the games that you would expect, Smarkets also allow full betting on the Bangladesh T20 League. There never seems to be a shortage of liquidity for cricket. Smarkets cover all major golf tournaments on their markets. There is a little bit more variety with golf in terms of the variety of bets that Smarkets has available, however most of the liquidity is in backing the winner. Smarkets cover just two handball leagues and as you would likely expect, there are very few bets available. Expect to back a team to win, lose or draw and that is it. Not surprisingly, there is very little liquidity in this market. Ice Hockey betting with Smarkets looks solely at the NHL with bets for the winner including overtime and the regular time winner. There appears to be some liquidity in Ice Hockey but not a lot. As I write this, the markets for Rugby look rather lacklustre however I happen to know that there are in fact a number of events covered. Rugby opens up the betting a little bit however it is still restrictive when compared to football. Despite this there is a still a fair amount of liquidity in the markets, especially with bigger games. There is coverage of major tournaments for Snooker however the majority of bets are rather restricted. There is some liquidity here but not a lot. There is only the Grecian Volleyball League to bet on and not surprisingly there is only the option to back a winner. There is also very little liquidity in the market. Although Smarkets put these in their own categories, I feel like it is worthwhile lumping them together as there is a lot of overlap. These markets are actually one of the standout areas for Smarkets and generally tend to receive a lot of attention. In fact, the activity of betting on Smarkets for political events has been used as something of a trend indicator in various news reports. There is only so much that you can bet on and the majority of political bets are longer term. There is however generally a lot of liquidity in this market and as such, it makes Smarkets one of the premier places to go to if you want to bet on politics. I have talked a lot about liquidity, especially when looking at the different markets, and addressing whether or not there is “enough” liquidity is a difficult thing. For those who aren’t aware, the liquidity of the market shows us how many people are betting and how much has been based etc. What this basically means is that certain events are more popular than others, and as such, there will be more people betting on United Vs Chelsea than a game from the United Arab Emirates. What you must be willing to compare Smarkets with however is other betting exchanges rather than its internal structure and it is here where the question of liquidity is less valid. For example, the outright winner of Manchester City vs Chelsea has had £113,551 traded on Smarkets. This is compared to £145,194 on Betfair. Given that Smarkets is estimated to currently hold just 1% of the market value when it comes to betting exchanges, you can see that on big events, it punches well above its weight. As much as it pains me to say it, as it currently stands I don’t think that Smarkets is quite there, however it has been around for about half the time of Betfair who are the established big boys of betting exchanges. The appeal of Smarkets definitely lies in the future as I have no doubt that the user base will grow with time and as it does, I think that the issues that it has will slowly dissolve. This is an opinion that the board of Smarkets also seem to hold with their support of Jason Trost being unwavering to date. In terms of the here and now, there has always been a sense in the online betting community that Smarkets is simply a cheaper alternative to Betfair. That it’s somewhere you go to see if you can place a bet and save yourself a few quid before you go elsewhere. Whilst I understand that for plenty of people their income is the first priority and as such, so is getting bets matched, but Smarkets will unfortunately be restrictive as long as this approach is taken. Perhaps the one area where I feel that Smarkets does lose out to Betfair as a betting exchange is in terms of the “big” gamblers. Take for example people like Peter Webb who back in 2010 claimed to have had a betting turnover of a quarter billion pounds. Traders like this are part of the backbone of Betfair as an individual may trade on an event more money than the entire Smarkets exchange. The fact is that there is a lot that can be said about Smarkets and its current position as a betting exchange but I feel that it is the future where this service will really start to come alive. The fact that there is a 3% saving when compared to Betfair is enough that eventually the number of traders will start to increase, and with this, so will liquidity. For some context on how quickly this growth will occur, in 2014 the trading volume for Smarkets was £390,251,000 with just 13,444 active traders. In 2015, it was £1,113,883,000 which represents a 185% increase whilst the number of traders jumped by 245% to 46,393. This long term approach and focus on the user are almost guaranteed to increase Smarkets market presence and as it does, it will become a better place to bet. Personally, I am of the opinion that right now, Smarkets is probably the best betting exchange out there. It is far from complete though. I will admit that it can be frustrating missing out on bets or not being able to bet on some of the sports that Betfair covers, but from what I have seen, these are things that in the future will be addressed. At risk of sounding a little bit corny, as gamblers, and traders the future of start ups like Smarkets is very much in our hands. I don’t know one person who at some point or another hasn’t had a complaint with Betfair (usually around the cost) and the only way that an alternative can be created is by voting with your feet.